After Builders Cleaners Residential & Commercial Furzedown SW16 | Quality Property Care Ltd.
You can contact us at any time of the night or day, just call 020 3746 4287 and our expert team will be more than happy to help you anyway they can. 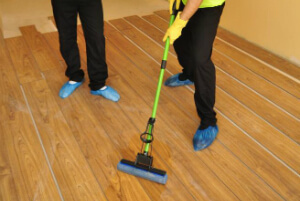 Our flexible booking allows for early morning and late evening cleaning slots, with availability during the weekends and even bank holidays, without any additional charge. The company Quality Property Care Ltd. offers highly professional and very efficient home and commercial post-renovation cleaning services in Furzedown SW16 and the area. The cleaners are all very thoroughly vetted, trained, monitored and assessed. They use very efficient and yet safe (for you, your pets and the environment) cleaning solutions and the latest cleaning technology. The after builders cleaning service is very well structured and organised, which allows the team of fully insured cleaners to be as expedient as possible and to deep clean the premises and make them liveable as soon as possible after the builders have finished their job. Cleaning after builders comes as a big problem afterwards the building works. That difficult work you have already done has exhausted you enough. So, better take the benefits of using an expert, risk-free and effective after builders cleaning service in Furzedown SW16. Quality Property Care Ltd. after building cleaning company offers quick reaction after your call, full customer support - including possibility for emergency service - and even the chance for you to be out, while the purge is done. Leave the experienced and trained after builders cleaners some spare keys to do their job, while you are having rest somewhere out.